LOS ANGELES – (RealEstateRama) — International award-winning firm KTGY Architecture + Planning is pleased to announce that KTGY’s new distinctive home designs targeting the needs of today’s discerning active adults were recently unveiled at Kissing Tree in San Marcos, Texas. 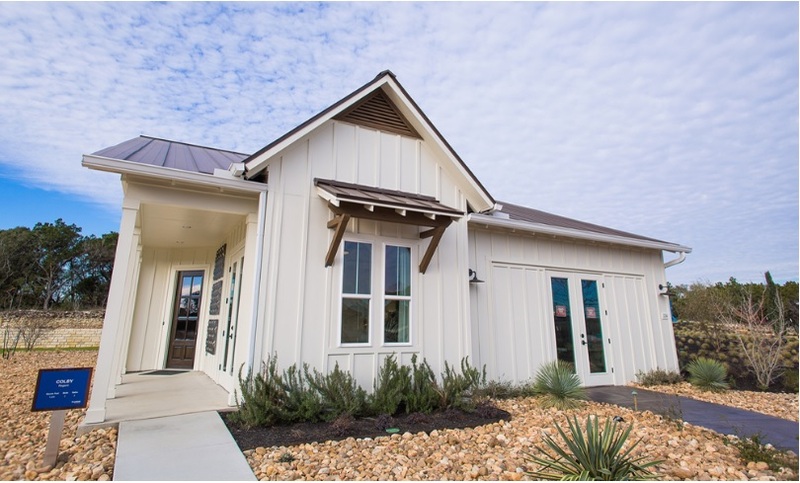 Kissing Tree is the first baby boomer, master-planned community, for those 55 and better by Brookfield Residential Properties, and the first of its kind in San Marcos. The 3,200-home community is located on 1,332 acres in Central Texas, halfway between San Antonio and Austin in the heart of the Texas Hill Country. Gonzalez also points out that the laundry room has been moved from its traditional location at the entry point from the garage to a more useful location adjacent to the master suite closet or dressing area. This accomplishes two things: it creates an “owner’s entry” into the home with only one door to go through that can also feature a drop zone to lay down keys, mail and cell phone often with a recharging station. Since the home is generally occupied by only the 55+ owners, having the laundry room adjacent to the master suite allows for the opportunity to provide a “horizontal laundry chute” so that the owners don’t have to lug the only real laundry they generate through the house to the old laundry room location anymore. The Colby, Emerson and Clarkson homes offer spacious floor plans from 1,850 square feet to 2,957 square feet. Home prices will range from approximately $275,000 to $500,000. 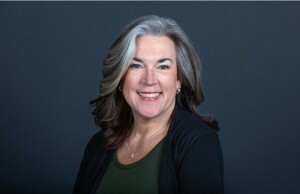 “Kissing Tree offers what today’s active adults want in both a home and in a community: homes that incorporate Universal Design and indoor-outdoor living, and have so many choices that the homes feel nearly like a custom home; plus being located in a resort-style, walkable community with trails and activities so it is a ‘staycation’ every day,” Gonzalez exclaimed. Kissing Tree was designed to change the way baby boomers envision the next phase of their lives, including retirement. The community will feature not only a collection of indoor and outdoor amenities at the community’s social focal point, called The Mix, but it will also include an 18-hole golf course, an 18-hole putting course and a state-of-the-art golf clubhouse. Hundreds of acres will be reserved for parks, trails and green space. Kissing Tree’s community amenities include a state-of-the-art fitness center, tennis courts, pickleball courts, bocce ball, indoor and outdoor pool, and a Texas BBQ pit for grilling. Upon completion, there will 15 scenic miles of trails for hiking and biking. Residents of Kissing Tree will be close to entertainment, shopping, freeways, transportation, jobs and education. Texas State University is located in San Marcos and so are the popular Tanger Outlets shopping centers. Residents and tourists will also enjoy the San Marcos River, the art scene, live music and nightlife, and athletic and community events and festivals. 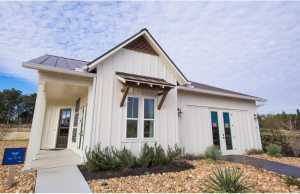 On the banks of the Texas Hill Country, Kissing Tree is the first baby boomer-centric community by Brookfield Residential. Created for those 55 and better, it’s the first of its kind in San Marcos, Texas. Our name Kissing Tree recalls Sam Houston’s gubernatorial speech in 1857 in front of a mighty oak tree in San Marcos, where he famously kissed several of the female attendees, creating a bit of a local legend. Kissing Tree is a planned 3,200-home community located less than a half a mile from all the conveniences of Interstate 35. Kissing Tree was designed to change the way baby boomers envision the next phase in their lives, with a unique collection of indoor and outdoor amenities at The Mix, the community’s social hub, as well as hundreds of acres of parks, trails and green space, and more. New home prices range from $275,000 to $500,000. Brookfield Residential Texas, a division of Brookfield Residential, is a full-service homebuilder and developer in Central Texas. Through our expertise, passion and focus on outstanding customer service, we strive to create the best places to call home. At every stage of life, our thoughtfully designed communities make it easy for buyers to find their dream home. For more information, visit Texas.BrookfieldResidential.com.